LONDON: 22 NOVEMBER 2007 - Mercator Gold plc (“Mercator” or “the Company”) announces its preliminary results for the year ended 30 June 2007. It is with great pleasure I present the third Annual Report to Shareholders of Mercator Gold plc in what has been a truly landmark year for your Company. Firstly, and most importantly, I am pleased to report the numerous milestones achieved during the 2006/7 financial year were free of lost time injuries and environmentally negative incidents. This highlights the commitment and dedication of all staff and employees of Mercator Gold in maintaining the highest levels of safety and environmental practices and is something we will continue to strive for at all times. On completion of the acquisition of the Meekatharra assets in early 2006 your Company set itself the task of bringing the mines of Meekatharra back into production on a profitable and sustainable basis. To achieve this objective the Company realised it needed to establish a reserve base sufficient to support production for at least four years at 120,000 ounces per year. The Company’s minimum requirement for the recommencement of production was therefore in the order of 500,000 ounces of reserves. 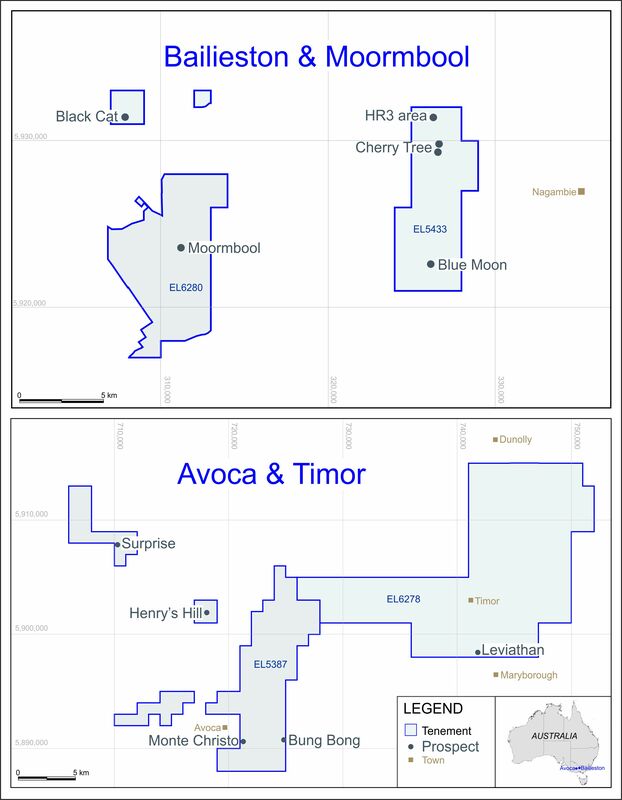 The Company’s successful exploration at Surprise and Bluebird at Yaloginda in 2005 and 2006 formed the basis of a prolonged campaign of drilling, whilst the recognition of the potential of the Prohibition-Vivian-Consols area within the Paddy’s Flat field became a focus of a second area of successful exploration. Our resources at the beginning of the year were 2,160,000 ounces of gold and have now grown to a total of 2,443,000 ounces of gold. I am pleased to say the mining studies associated with reserve definition were commenced and largely completed during the year under review and now stand at 504,000 ounces of gold. Immediately following on from the reserve definition studies the Company moved on its commitment to recommence production at Meekatharra. With reserves sufficient to sustain production for at least four years the Company undertook a thorough refurbishment of the Bluebird mill at a cost of £3 million. First production is being sourced from the Surprise deposit, which is situated approximately 800 metres from the Bluebird Mill. Surprise contains a number of high grade lenses within a porphyry of generally lower grades, and will be mined over a nine month period. Pre-stripping of the larger and somewhat deeper Bluebird deposit – which lies approximately one kilometre from the Mill – will commence shortly, with ore from Bluebird to be blended with Surprise in the New Year. These deposits will supply approximately 200,000 ounces of production over a 20-22 month period. Coinciding with the production from the Surprise and Bluebird pits, the Company intends to begin underground development of the highly regarded Paddy’s Flat deposits. These deposits will be the source of production for at least two years after the depletion of the Surprise/Bluebird reserves and in our view, have the potential to provide further reserves over many more years. This view is based on the important fact that the Paddy’s Flat deposits are open both along strike and at depth. Our reserves represent only a small portion of the known mineralisation at Paddy’s Flat, which has to date produced over 2 million ounces of gold to an average depth of less than 250 metres. The financial results for the year reflect the ongoing costs associated with putting in place the financing and resources that will allow your Company to take advantage of the current upswing in the international gold market. Your Board remains cautiously optimistic that there is a longer term overall improvement in the West Australian gold mining industry and Mercator has the appropriate asset base to take advantage of this. It is with this opportunity in mind a full listing of Mercator on the Australian Stock Exchange is being considered. To grow our reserves by a minimum of 220,000 ounces. In conclusion, I would like to extend a special thanks to our operational staff for the way they have carried out their tasks during the year – bringing a mine into production is never easy. In particular I would like to thank Denis Geldard, Alan Coles, Laurie Mann and Clarrie Lauritsen for their tireless pursuit of the Company’s objectives. Julian and Sue Vearncombe left the Company as full-time consultants during the course of the year. I thank them for their efforts and wish them well. Finally, I would like to thank you, our shareholders, for your continuing support in what promises to be another active and exciting year ahead.